For the 4th year, my daughter and I have sat down together and are knitting scarves for the Special Olympics.You can find out more about the various states’ Special Olympic Scarves Programs here and here. 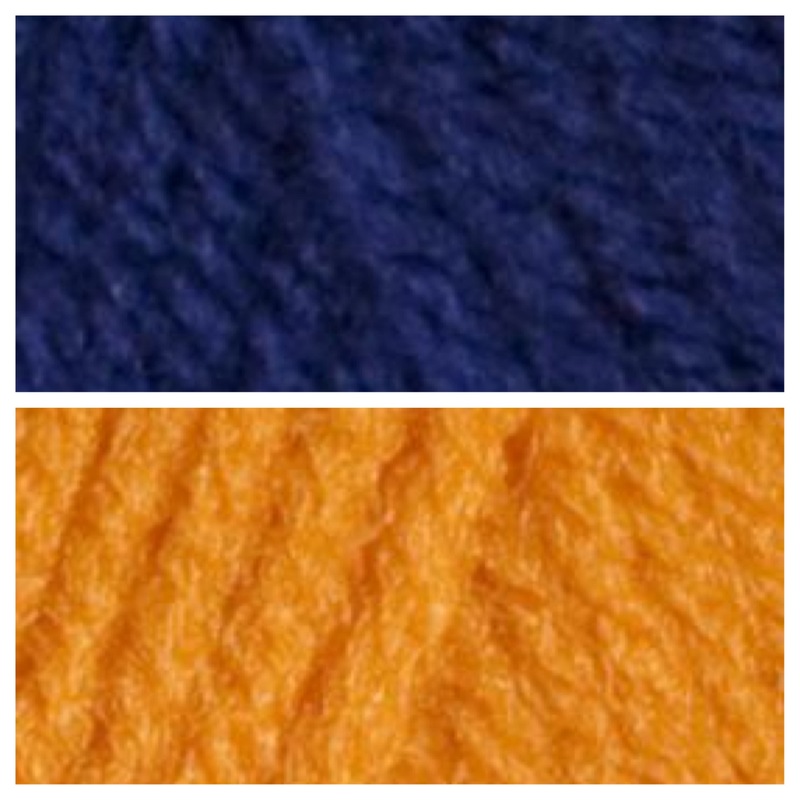 Those Red Heart Super Saver Skeins are big and 1 skein of each color (we used Pumpkin and Soft Navy) is more than enough to make each scarf. In fact, we may even have enough left over to make at least another scarf.